Glad you commented on The Outer Limts - The Galaxy Being - "bills will be paid" ! Also nice that the heroic John F. Kennedy selected Cliff to play to portray him in PT109 ; what an honor and privilege for Cliff ! 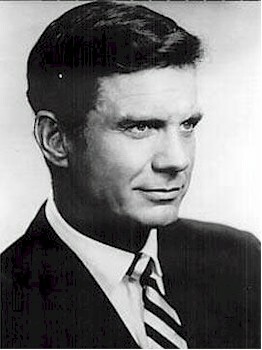 Cliff Robertson was the guest star on the premiere episode of Outer Limits in September 1963: The Galaxy Being. No pun intended, the episode was absolutely electrifying. This 8 year old kid was both hooked and horrified at the same time.